A process hazard analysis (PHA) is not a trivial exercise. The search for process hazards takes time and effort, and it pulls a team of people away from their regular jobs, which don’t go away in the meantime. Most people would rather have their wisdom teeth extracted without the benefit of anesthesia than sit through a PHA. Why is that? After all, a PHA is looking for fires and explosions, death and destruction. It’s the stuff of blockbuster adventure movies. A PHA should be full of action-packed excitement. Instead, once the team is assembled, they frequently are subjected to poor preparation and the wrong PHA method, and they come away feeling like their time has been wasted. One of the problems is that facilitators are not given the time or simply do not take the time to prepare properly. So, the members of the team, instead of diving into the snake pit of process hazards, watch someone else fill out paperwork. They don’t even get the excitement of filling out the paperwork themselves. As if. Another problem is that an inappropriate PHA method is being used, or it is being used inappropriately. FTA is a method for evaluating the probability of a scenario. Before you can use it, you must first identify a hazard and its consequences. Identifying a hazard and its consequences is the whole point of a PHA, so FTA is never appropriate as the primary PHA method. FMEA is a method that was originally intended for product development or evaluation of mechanical systems and depends on evaluating the impact of each possible component failure. It was not intended for chemical processes, but can be forced to work. It may be appropriate for very simple processes or for organizations operating on a cost-plus basis, where time and money are no object. Except, apparently, for some instances of military contracting, I don’t know of any such organization. What-If is a brainstorming method that is completely reliant on members of the PHA team asking the necessary “What if…” questions. It can be very effective given a team that is very experienced, very knowledgeable, very creative, and very disciplined. These are usually mutually exclusive traits, though, and it is a rare team that can do this well. The facilitator is often reduced to—pick your cliché—herding cats, wrangling monkeys, summoning demons. It is easy for a What-If evaluation to get bogged down in one area and overlook others. As such, the What-If method is only appropriate when the right team is available. When the right team is available, What-If can be the best, most efficient PHA method. When the right team is not available, or is tired or distracted, it can be a disaster. Checklist is a method where experience is captured in the form of questions on the checklist. If the What-If method is at one end of the PHA spectrum, the Checklist method is at the other end. It is not particularly dependent on the experience of the team—they simply need to understand the questions—and is useful for frequently replicated processes for which good checklists have been developed, such as packaged units. The Checklist method is only appropriate when a good checklist is available and applicable to the process being evaluated. As seductive as the Checklist method can be for its simplicity and ease of use, it is very rare that a checklist will be the appropriate method to use for an innovative or novel process. What-If/Checklist is a method that addresses some of the weaknesses of the What-If method by guiding it with a Checklist. It is a method that is particularly useful for a preliminary hazard assessment, when there is an opportunity to make fundamental changes to the process technology or to consider revision to the siting or layout of the facility. HazOp is the method most commonly used by the chemical process industries. In fact, it is so commonly used that many people use the terms “PHA” and “HazOp” interchangeably. It has the advantage of being thorough and moderately insensitive to the experience of the PHA team. Its primary disadvantages are that it can lead a team to spend time considering non-hazards, and that it is very tempting during a HazOp to drift from hazard analysis to process design. Both of these disadvantages can be overcome with good facilitation. HazOp is always an appropriate PHA method. There is no requirement that a single method be used for an entire PHA. Different sections of the PHA or process may be addressed using different PHA methods. The next time you are charged with conducting a PHA, remember that it is not just a check in the box to satisfy a regulatory requirement. 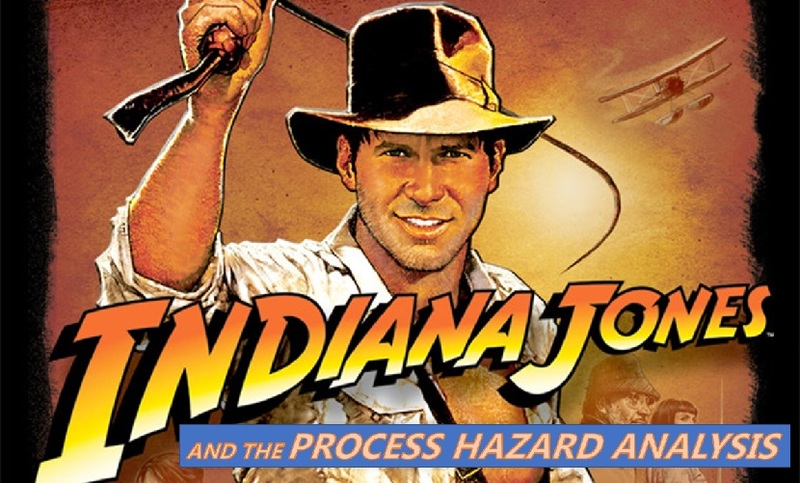 You are doing a PHA because you want to be sure that your team is aware of the hazards of your process, and that you have done what needs to be done to assure that your process bears as little resemblance to a blockbuster adventure movie as possible. With that in mind, make sure you are using the most appropriate PHA method. It’s hard to defend FTA and FMEA for PHAs, so plan on using something else. If you are considering the What-If method, consider whether your PHA team is well-suited to this method. Don’t let hubris get in the way of good hazard identification. If you are considering the Checklist method, consider whether your process is suited to it and whether your Checklist is suited to your process. Perhaps a PHA is not full of action-packed excitement, but it should be an adventure. This blog is based on an earlier version, “Recognizing Hazards: PHAs”, posted on 20-Jan-2016 by Elsevier in Chemicals & Materials Now!